In our monthly instalment of Multilingualism in my family, we meet Ute and her family in The Netherlands. Now, Ute is a woman extraordinaire, a multilingual of many talents! She is raising her children (including twins) to be mutlilingual too, of course. And she writes a great blog full of helpful tips for families and expats. I love how she divided my question about the percentages into school days, weekends and holidays. Happy reading! Three, a 10.5 year old boy and two 7 year old girls. German is our family language since almost 6 years, but we often switch to English, Dutch or Italian. With my parents: we all talk German (Hochdeutsch), with my inlaws and sister in law: Switzertüütsch/Swissgerman. With my sister and family (they live in Switzerland): Italian and German. My children go to a British School, therefore they hear English usually, but also Dutch, German, French and Italian, as we live in a multilingual community. During school time, it would be 70% English, 30% German (or 20% German and 10% Dutch when they have after school activities). During weekends: 60% German, 40% Dutch (sometimes also some English, French or other language when friends come over). During holidays, it depends where we go: in Switzerland (southern part: Italian speaking) 50% German (with parents and part of the family), 50% Italian (social context and part of the family). In the beginning, my husband and I did start with the One-Person-One-Language method. We were living in Italy when my son was born. I did talk Italian to him and my husband Swiss German (and my husband and I did talk German together). We moved to the Netherlands when our son was 2.5 years old. He stopped talking Italian to me after a few months, probably because he realized that I did talk all the other languages we needed to talk every day, and as Swiss German and Dutch share many similar sounds, he probably did choose the most economical solution: to reply in Swiss German to me. He went to a Dutch daycare at that time and did usually change from Swissgerman to Dutch without any problem. When my twin daughters were born (my son was 3.5 years old), we continued with Italian-Swiss German-German in our family. My son then started to go to the British school when he turned 4, therefore our children were exposed to Swissgerman, German, Italian, English and Dutch on a daily basis (our girls started to go to daycare a few days per week when they were 7 months old). The girls started to talk at 11 months and everything seemed fine, until they developed a secret language. Initially I thought that it was probably just a phase and it would be over soon, but as my son did suffer about this situation (nobody could understand what the girls were saying! ), my husband and I decided to narrow down the languages within our family to only German. It was hard for me to abandon Italian and for my husband to stop talking Swiss German to our kids, but as it turned out, it was the right decision for our family. Our daughters stopped talking the secret language within 2 months and our son did rapidly improve his German. We still did read stories and sing songs in the other languages, but did only talk German to each other (with some exceptions for Dutch and English, when the kids wanted to share something from their day at daycare or school). German is now our family language, but we are not too strict: sometimes we switch to English or Dutch whilst talking about some language-related topics. And since three years (since we go to Ticino/Southern Switzerland several times per year) their interest and passion for Italian did grow – and my son is quite fluent in Italian. As I mentioned before, our initial OPOL distribution didn't work. I have my own theory about OPOL in multilingual families. I am multilingual myself and as I use to talk three languages per day and my son did realize that I was perfectly able to understand everything he was saying in Swissgerman or Dutch, and we didn't have the "right" friends (i.e. with children of his age) at that time, there was no necessity to talk Italian for him anymore. In Florence (where he was born and did have many friends) this was different: Italian was the dominant language and he really enjoyed talking it. Once in the Netherlands, he adapted very quickly: he learned Dutch very fast. When the problem with our twin girls occured and our son was frustrated about not being able to understand what his sisters were saying, we had to change language in our family. I used to work at the Linguistic Department at the University of Zurich and did learn a lot about bilingualism and multilingualism already during my study, but despite all the theory I knew about this, the actual situation in our family was completely different and did require an ad hoc solution. 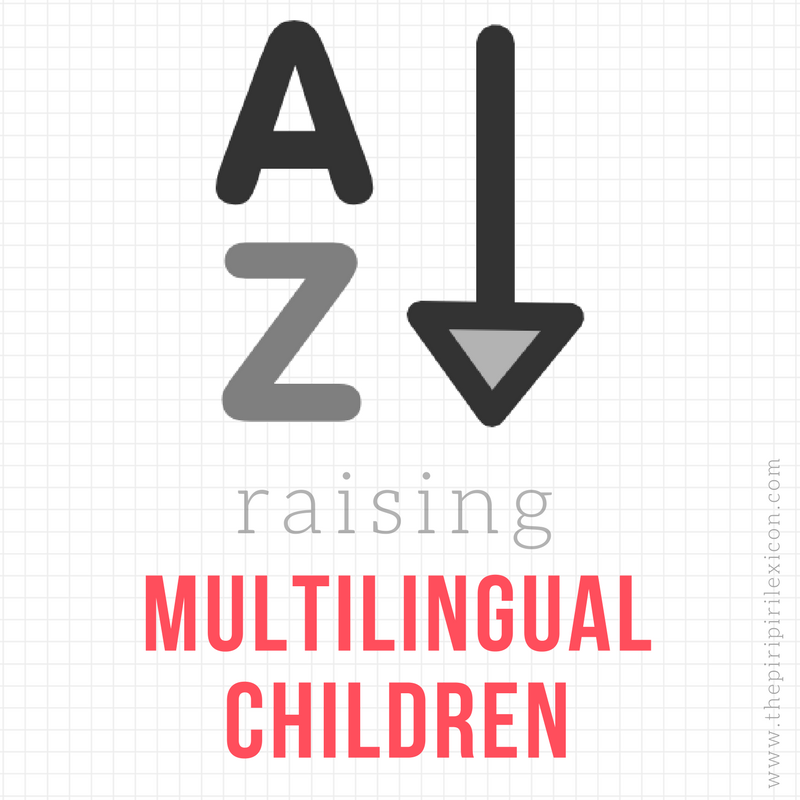 When I started my blog a bit more than a year ago, I realized that the community of parents raising multilingual children is gigantic. I also did find multilingual parents raising multilingual children from around the world. The immediate feedbacks from experts gave me the confidence that some non-scientifically-approved solutions can be right and lead to success in single cases.